American widow Emily Walters (Diane Keaton) lives beside the picturesque Hampstead Heath. Despite her seemingly idyllic existence, she doesn’t want to admit that she’s drifting through life without much thought to her future, finance or relationships. One day, Emily stumbles upon the reclusive Donald Horner (Brendan Gleeson), who has lived quietly in a shack on the Heath for seventeen years, but now his home and lifestyle are under threat from property developers. Emily bravely steps up to take Donald’s side in the escalating battle, determined to defend the man who might just be the person to put the spring back in her step. Inspired by a true story, HAMPSTEAD is a funny and life-affirming tale about how love can be found in the most unexpected places. To celebrate its release in cinemas on June 23, we are offering 10 lucky readers the chance to win £50 worth of vouchers to spend on sumptuous treatments at a choice of six Champneys City Spa’s. For more information visit the Champneys website To sign up and book tickets to see Hampstead, please visit the Hampstead Film website. Escape from the hustle and bustle of the high street, to your own private haven of relaxation. Tucked away in tranquil settings, our city spas offer a relaxing refuge from the everyday, where you can treat yourself to a little me-time. Retreat from your day-to-day stresses, and find your own peaceful sanctuary, where we’ll help you feel renewed and relaxed. Whether you have half an hour in your lunch break, or want something more indulgent to span a few hours, we have plenty of delightful treatments to choose from. For more information visit the Champneys website. 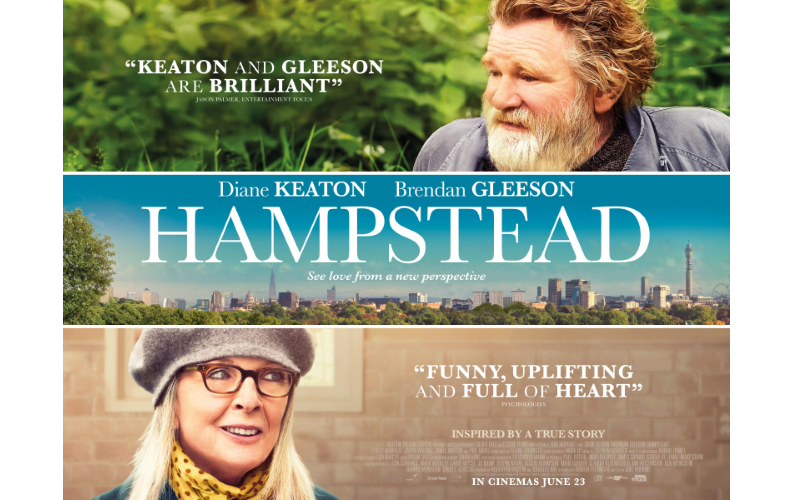 To sign up and book tickets to see Hampstead, please visit the Hampstead Film website.